I walked into my local quilt shop today and there it was…finally! 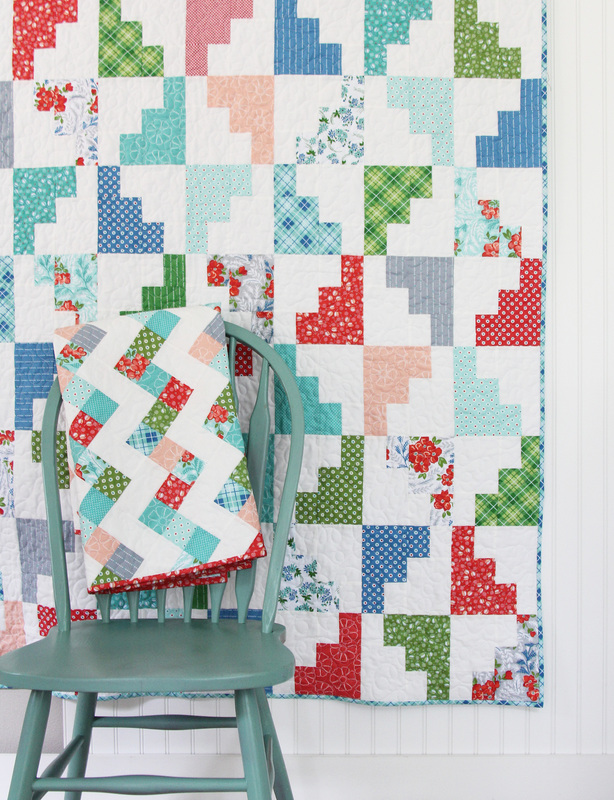 Hazel is now available at quilt shops! 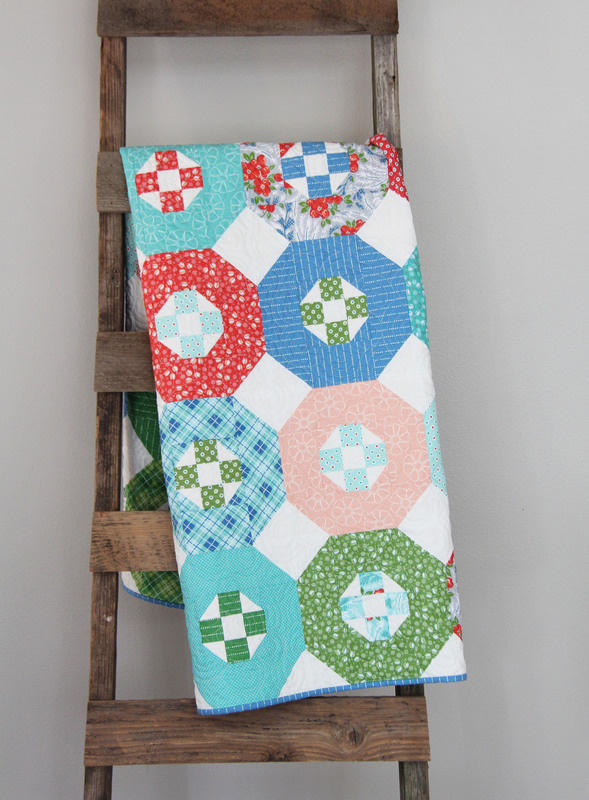 Here’s a few quilts I made with it: Promenade, Hideaway, and Hello March. I can’t wait to see what you make with it and I hope you will love it as much as I do!!! 43 Responses to Hazel is here! This is a gorgeous fabric line, and it suits your style perfectly! Hazel is a must have for me! 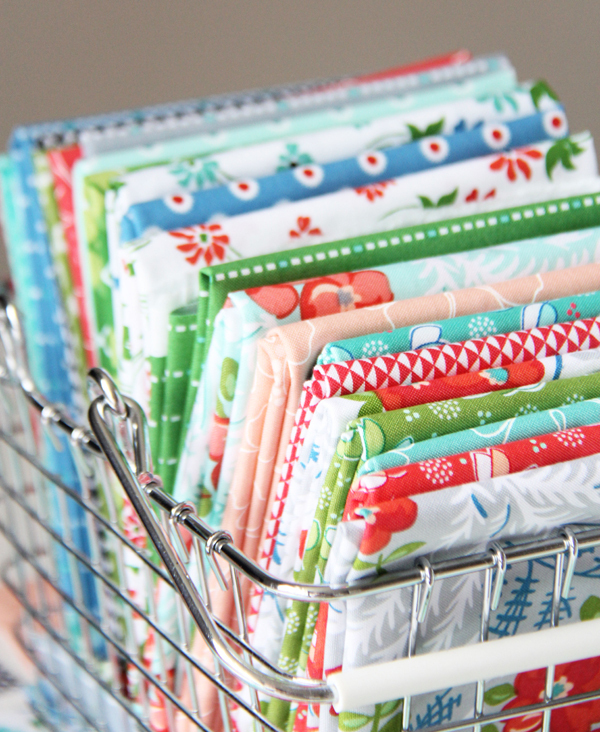 I LOVE your fabric line and have it on my ‘wishlist’ to buy. I’m looking forward to making one of your wonderful patterns with it. They are sweet, and they are perfect in all the pieces you show here. Love the name, too. Love Hazel. My mom and grandma’s names are Hazel, so it is extra special, like them. Love your new fabric line. Hazel is on by wishlist. So, so exciting! I’ll put this on my Christmas list! Beautiful. What a sweet and fun line! I love, love, love it and cant wait to make another project with it!!! I saw this at Quilted Strait this weekend!!!!! How fun Morgan! It’s such a great shop! I bought some on Saturday. I was so excited when I walked into the local quilt shop and they had most of the line. I love it! woohoo!!!! Can’t wait to get some under my roof soon! Congrats & cheers! Love this fabric! So bright and fresh. Can’t wait to get some! Just Beautiful! I love it. Congratulations! How fun for you and us too. Just received mine in Australia! Can’t wait to start sewing!! YAY! I bet that was the best feeling ever. Congrats! 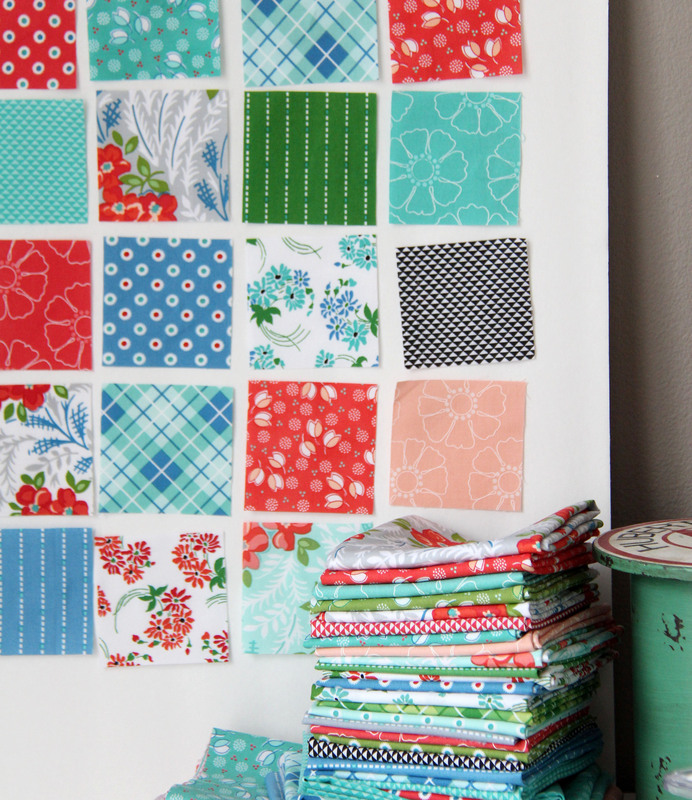 This is such a fresh line of fabrics – I love them! And those quilts you made are beautiful. Saw it today along with several of your quilt examples! Wow, love it. Pretty pictures on the web, but in person…gorgeous! These are so very pretty…wow…the colors are so bright and cherry looking…. Very beautiful! Love the colors. What a great collection of fabric! Love your fabric line Allison. Your creativity is so, so wonderful. I love it all. I hope to be creating with this collection soon. Beautiful! I will keep my eye out for it! I’m going on a quilt shop hop in Florida this weekend, hopefully I can buy some there. Do you know if it’s available in Canada, or is that a stupid question? Are you saying that you designed this fabric line? I haven’t visited your blog before so excuse my ignorance. Regardless, it’s a lovely, and very quiltable fabric. Congratulations! I am CRAZY about these fabrics! I made a thread catcher and posted photos on my blog. Love this line! Pretty colors. ;) Congrats! Just received my Oh, Clementine in the mail today. Love, love, love it! 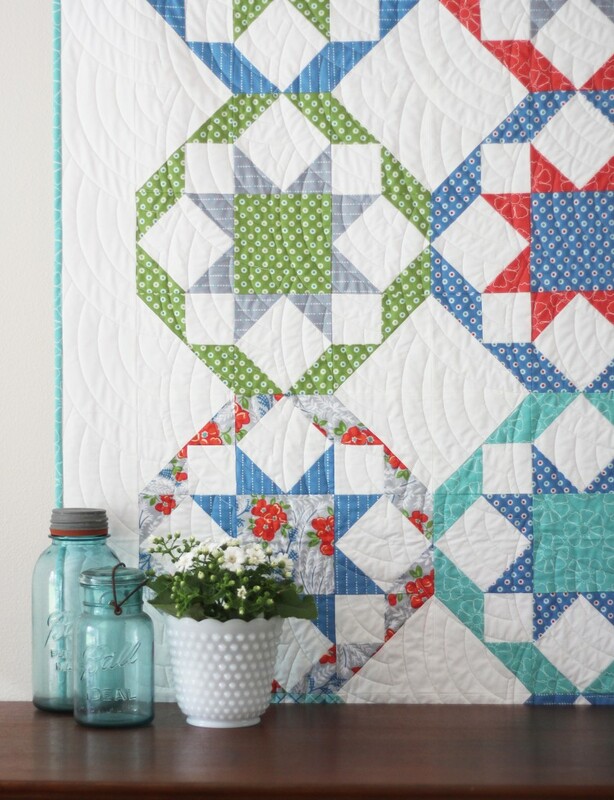 What is the name of the white material you used on your “Hello March” quilt? Thanks! Being new to the quilting world, I am finding it easier to just be a copy cat 🐱 until I get my feet really wet. Hi Alison! I read your blog religiously continuously checking for updates; I hope all is well on your end! Thank you for the wonderful ideas and patterns!